I'd been wanting to try out a couple more NYX products and since Boots now makes it easy for us Brits, I made an online order. To be honest, I don't really have the funds to be going wild, but I'm someone who gets a little cabin fever in regards to being on a strict spending ban, so I thought I would treat myself to some cheapies but goodies. 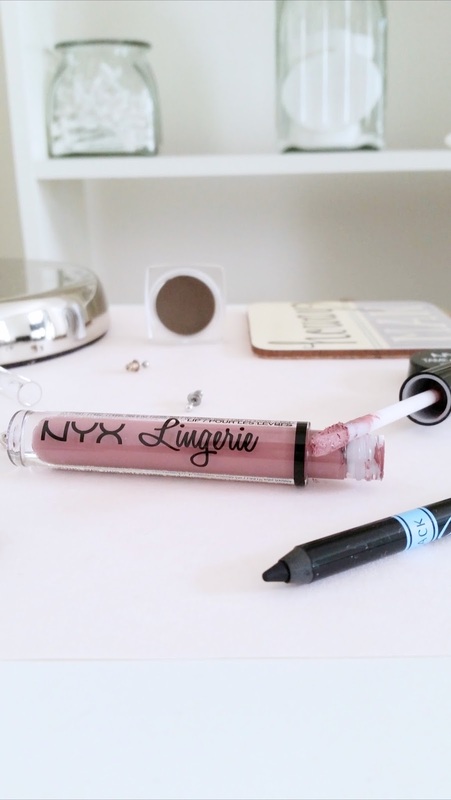 Something I've been coveting after for a while, but always forgetting to pick up: NYX Lingerie Lipstick in Embellishment. I'm a devoted fan to the 90s and I can't get enough of grey-toned lippies, particularly when it has a purple tinge too. 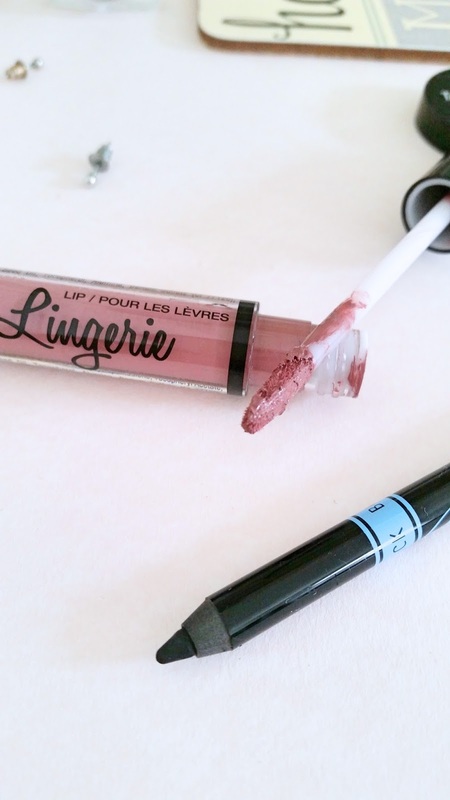 This looks effortlessly cool, fairly comfortable to wear (for a matte liquid lipstick) that fades nicely too. I honestly want all the shades - very Kylie Jenner lip kit. 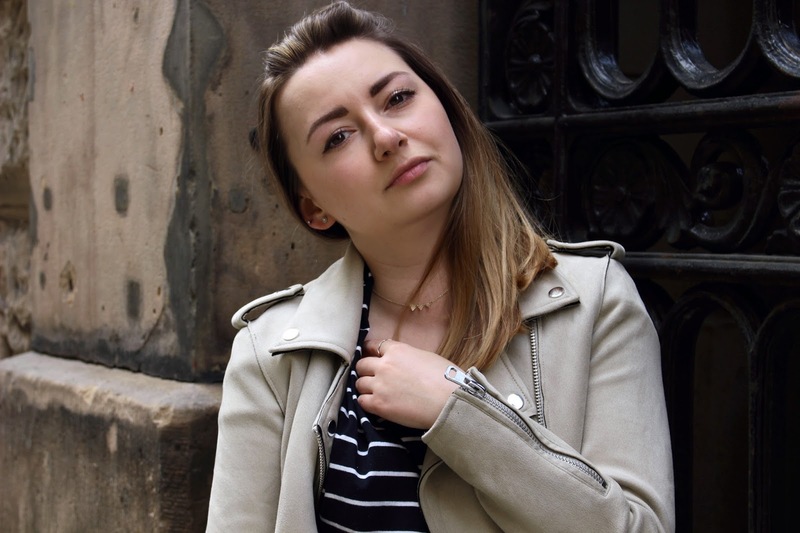 After some horrendous selfie attempts, I realised my brows were below par. They've now become increasingly important to me and being a pomade virgin, it was surely time to change that. 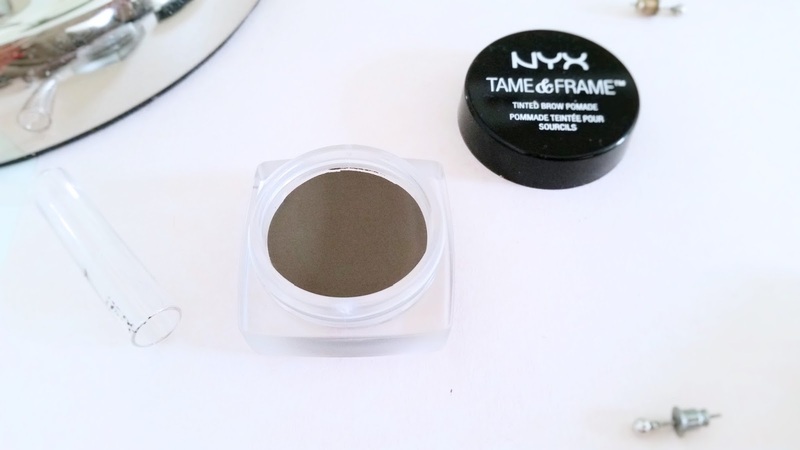 I picked up the NYX Tame & Frame pomade in Brunette. Meant to be a cool medium brown, but does come off a little warmer on me, but the texture of this is really great. I haven't yet used the Anastasia Brow Pomades to compare, but from what I've gathered, they're pretty similar. It doesn't drag or smudge; what I generally request in a brow product. Probably the most boring addition to anyone's collection, but this is probably the best kohl eyeliner I've used. I've recently become a huge tight-lining fan as it really makes my lash line pop and this Barry M number is seriously good. Instant opaque black that doesn't budge. I'm thinking of trying their other shades to see if they compare. Absolute steal too. What are your recent additions?